Please complete below all sections 1-8 of the client intake form online and submit the form and all requested information on Section 8. 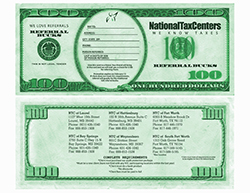 Choosing to become a member of a National Tax Centers franchise will afford you the opportunity to achieve your dreams. Please fill out the form below to be considered for employment with NTC.